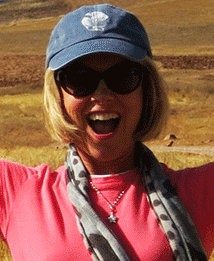 Marybeth Bond, aka The Gutsy Traveler, chats with Paul about an English company that organizes walking tours for individuals and small groups. She walked with them on a tour of small towns in the South of France, and staying in small inn each night. She discovered a culture and space of life that could only have been found by walking the countryside. 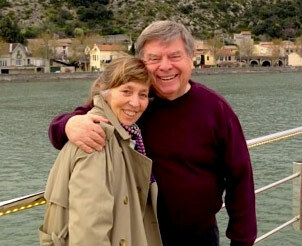 Marybeth Bond joins Paul to talk about the joys of walking and hiking through the South of France. On Foot Holidays an English walking company, offers 30+ self-guided walking tours in Italy, Spain, France, Greece, Portugal, Germany, Croatia, Slovenia, England, Turkey, Bulgaria, Czech R, Austria. The walking tour may be done with a guide or customized just for you and friends. The hikes are graded for difficulty and there are often shortening options. You will only carry your lunches, while your luggage was transferred to the next night’s accommodation. A map with route instructions, all hotel reservations, breakfasts, most dinners and lunches were provided by On Foot Holidays.